, who is bringing the world to your kitchen table one recipe at a time. I love and adore this beautiful state of Kentucky and all she has to offer. I use local ingredients especially in the summer when the farmer's markets are open! Using those KY ingredients for international cuisines is pretty perfect in my world! , the Mint Julep has been sold at the Derby since 1938. Mint Juleps are traditionally served in silver or pewter cups, but this recipe is too beautiful to place in anything but a Mason jar! Traditional mint juleps are just simple syrup, bourbon, mint and ice, but I wanted something a little different this year. I was speaking with a bartender, and they made some suggestions that I had to try! For instance, using honey instead of simple syrup and adding some fruit. At the last minute, I decided to pour some sparkling cider in this drink which gives this a light, crisp finish. Watch out though! Those peaches pack a bourbon punch! 1. The day before your event, mix peaches and bourbon together and allow to set overnight. 2. Place a few peach chunks, a couple of raspberries, 1 tablespoon of honey, and 4-5 mint leaves in each glass. 3. Take a spoon and muddle the fruit together. 4. Add 1 oz of bourbon to each glass. 6. Pour cider over ice. 7. Stir drink with a spoon. To say that this was delicious was an understatement! I can see making this beyond just for the KY Derby, during those hot summer days, when we have fresh peaches (we used peaches that we froze from last year) and mint that we planted. 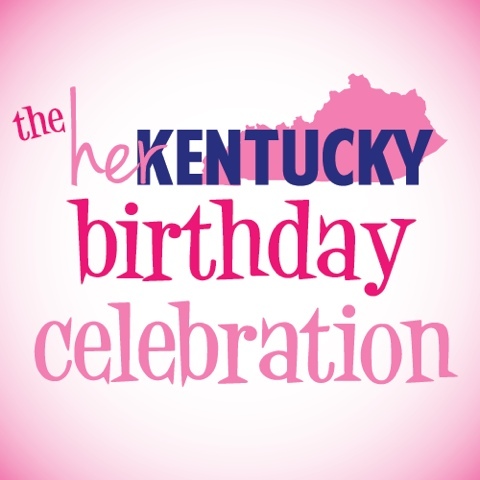 In "a girl eats world", "bourbon", "cocktails", "guest post", "jennifer", "mint juleps", "wood ford reserve"
Derby is 100 days from today. Now, as I write those words, I can't help but picture y'all immediately logging off HerKentucky, and running out to buy a dress and a hat because Derby is just around the corner. But, I'm sure that our readers are more prepared than all that. Anyhoo, the Derby Countdown has kept my spirits high on a dreary, wet, windy Thursday. I've been thinking about fabulous hats. I've been stalking the Lilly Pulitzer spring line. But, most of all, I've been craving a julep. The Derby's official drink is an iconic cocktail that immediately conjures images of Southern grace. They're an emblem of a more sophisticated time. I think there's just something so elegant about a mint julep -- the simple silver cups, the delicious bourbon, and the whimsical mint sprigs. It's not a cocktail you just throw together -- you have to make your simple syrup and pick (or purchase) fresh mint. While not a Southerner herself, the Mad Men character Betty Draper simply won me over when she served juleps to the adults at a child's birthday party. I keep asking my friends to let me borrow a kid so that I can stage an homage to Betty's entertaining. Oddly enough, nobody has taken me up on that request. Beyond the imagery of the julep, I find that there is, when done properly, a surprisingly good cocktail. Now, I'm not much for the pre-made bottles that pop up every spring, but a well-made julep is a wonderful complement to a hot day. I've always found that Dudley's in downtown Lexington serves the very best version of the Commonwealth's Cocktail-- sweet, tart, and icy cold, with the slightest fizz of club soda. While the mint julep is perhaps the most famous symbol of the Kentucky Derby, it has as many critics as it does fans. Louisville newspaperman Henry Watterson famously once described his own julep recipe: "Pluck the mint gently from its bed, just as the dew of the evening is about to form upon it. Select the choicer sprigs only, but do not rinse them. Prepare the simple syrup and measure out a half-tumbler of whiskey. 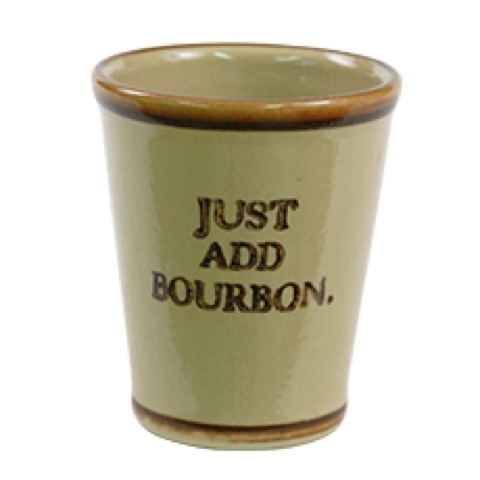 Pour the whiskey into a well-frosted silver cup, throw the other ingredients away and drink the whiskey." Here on HerKentucky, Cristina wrote that, while she loves the individual ingredients, she just can't get behind the finished product. I'm even the only julep afficionado in my own home; my fiancé considers the mint julep to be a waste of good bourbon. Whether you love the sweet, minty compliment to your smoky, rich whisky or you simply think it's a waste of good bourbon, you have to admit that julep cups are a classic addition to any Southern home. Julep cups add a rich look to any flower arrangement or keepsake -- they're small enough to add elegance to any spot without overwhelming your space. So, while I still have to wait 100 days until I pull out my fabulous hat and dress and sip the season's first julep, I decided to bring a little julep culture into my life tonight. I made a little flower arrangement using a Louisville Stoneware julep cup and some springy blooms. Here's hoping it makes the countdown go by a little quicker!! In "bourbon", "derby", "louisville stoneware", "mint juleps", "photos"